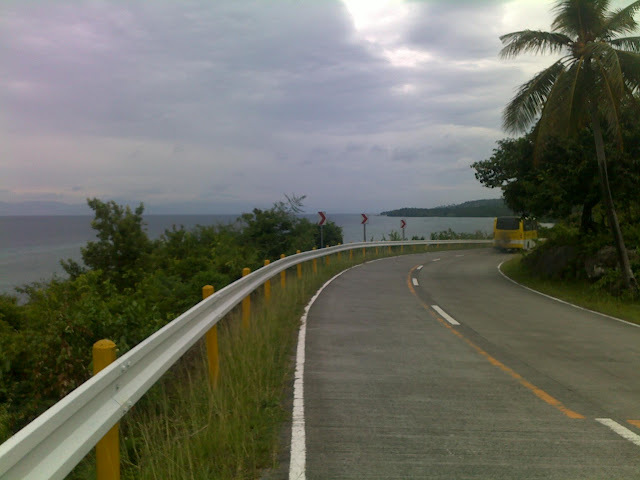 Tour de Cebu Stage 8 covered the towns from KM 175 in Alegria, Badian (my hometown), to KM 205 of Moalboal. This stage let me rediscover my hometown, Badian, on foot. 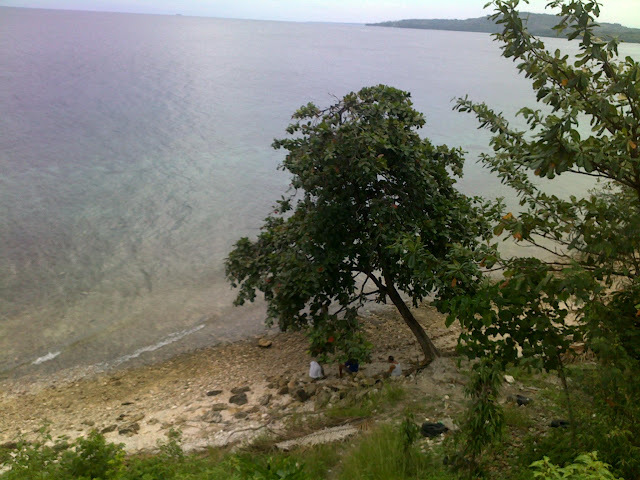 So in this post, I would like re-live my hometown, Badian. We started at Alegria, which is a very lovely place to have a run. It’s a coastal town so you will be running almost the entire stretch beside the sea. 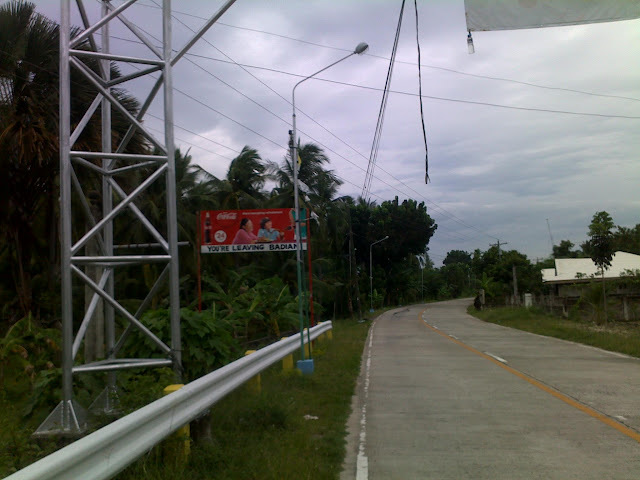 Now, my hometown, Badian… I felt giddy when I saw the “Welcome to Badian” signage. The different parts I passed by brought bits and pieces of memories of my childhood. Like this secluded beach was a frequent go-to when I was a child. 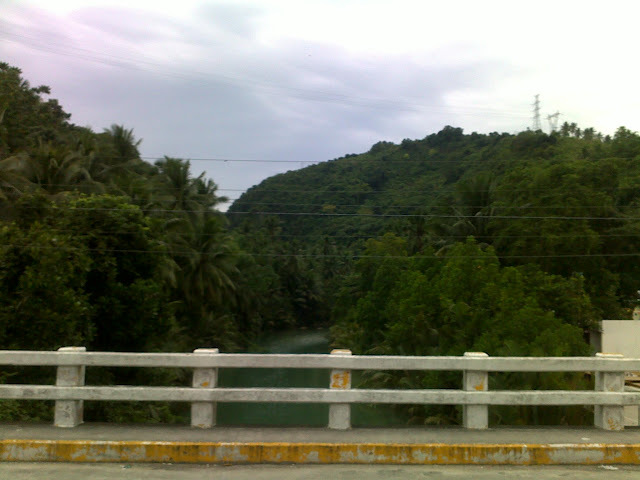 It’s located at the border of Badian and Alegria. I could remember myself in the water playing with the waves or on the seashore collecting shells whole day. There’s nothing really fancy I could say about this place, but still it gave me heartwarming memories. You’d know that you had really crossed to Badian from Alegria when you’d see this river from Kawasan Falls. I guess when people talk about Badian, it’s Kawasan Falls that they’d right away associate with it. 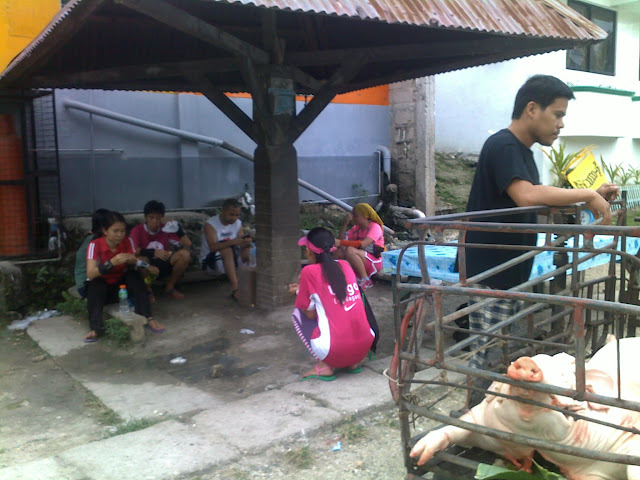 So what’s my fondest memory of Kawasan? The many times I had gone back and forth to it, accompanying relatives and friends here and abroad, I could not recall one memory that stood out. But I’d feel in awe when I’d see my friends and relatives get awed when they’d finally see the (first) waterfalls after the long trek from the main road. Back then, there were not much structures around the waterfalls, so people when nearing it would have an unobstructed view of the falls. The feeling can be like that of reaching the finish line after a long run. Then, from Kawasan Falls, next is my another favorite part of Badian — another stretch of coastal view. Though, you’d see a part of it already being ‘walled.’ They call that part ‘Millionaire’s Village’ as big ‘rest houses’ are lining it. It’s kind of sad because their houses and fences blocked the beautiful view. Many times before I imagined how it would be like to run this area, with the view of the sea on one side, and the hills at the other side. Finally, after 30 years, I had done it! Then, moving forward, you’d find yourself in some sort of a quiet green valley. I always imagine this part to be scary because it can be eerily quiet when you pass this. Plus, coming from the sunshiny view of the sea to this gloomy-looking atmosphere adds to its spookiness. But I said nothing about it to (another) Rose, my running mate at that time. Running it disprove my ‘spooky theory’ of the place because we got out of it unscathed. I failed to take pictures of the town proper where I grew up because Joseph had some ’emergency’ to attend to, and I needed to accompany him to our house so he could relieve it. So I did not waste any more time to take pictures of my elementary school, my home, the neighborhood. And, from there we had to dash off to catch up with the rest since we had 13 more KMs to cover yet and it was a bit late. Stage 8 made me re-appreciate my hometown. I realized that running / walking along my hometown will not be a bore. Since, you’d get a different mix of sceneries — sea, river, hills, and mangroves-filled shore after the town proper. So that’s my beautiful hometown, Badian. And, I got a homecourt advantage in this stage. I finally made my 1st 25km finish that does not feel such a fluke (like my 1st 25km finish). 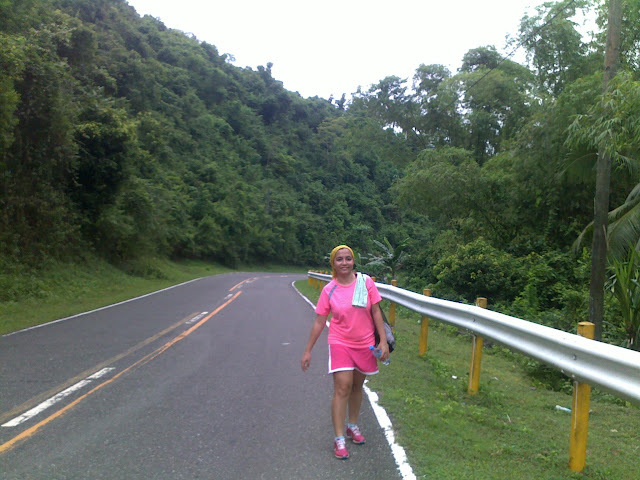 If you want to experience running Badian, you can check the Kawasan Falls Marathon / Half Marathon this June 10, 2012, details here >>. More pics from my phone of Stage 8 Tour de Cebu run here >>.